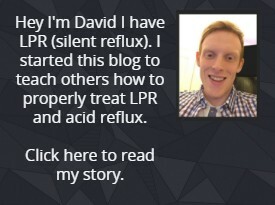 Undoubtedly when people talk about silent reflux and acid reflux in general, they often talk about the foods that you should be avoiding and there is no doubt this is an important area to talk about. settle and calm symptoms and allow the throat and the digestive tract to heal. First off, I want to talk about oats. Oats are one of my go to’s when it comes to something that is not only filling but tasty. The reason I recommend oats is because they really help calm and settle the stomach. Oats can help absorb acid in the stomach which should help settle the stomach. Not only that but the acidity level of oats is quite low no matter what you make the porridge with. Ideally, I would recommend you make it with either almond milk or soy milk. The reason I recommend these is because they are both alkaline and make the porridge even more soothing for the stomach and the whole digestive tract. In terms of adding something extra for additional flavouring I recommend honey (1 tea spoon) that has been well mixed into the porridge before eating. Also, you can add a sliced banana to the mixture for added flavor. For me rice is easily one of the best foods to calm down the stomach. It is plain and not too acidic so is helps settle the stomach especially due to its more filling nature. In terms of what rice to choose, I think most rice’s are absolutely fine when on a diet for LPR. For me personally I like to eat white jasmine rice, though others forms like basmati and brown rice are absolutely great too. If you are looking for the least acidic rice – brown rice would be your best bet though the difference is very small when comparing to other rice varieties. Sometimes meat can be overlooked when following a diet but for someone with LPR it is something to seriously consider. If you aren’t already aware red meats and meats high in fat generally are something you want to avoid if you have reflux. Ideally you only want to eat lean meats. My top recommendations for meat are chicken breast, turkey breast and most kinds of fish (not smoked). If you are looking for the most alkaline meats, then fish should be your top choice. My personal favourite choices when it comes it fish are salmon and prawns both of which are alkaline and highly nutritious so they should be the perfect choice for your digestion and your whole body. When people think of acid reflux, they think that spices don’t go along with that. Well spicy food typically doesn’t go well with acid reflux though ginger is one of the exceptions to this rule. Ginger is tasty and offers a spicy taste but it is amazing for the stomach. One of the main reasons ginger is an amazing choice is gingers anti-inflammatory properties. When ginger passes over the throat and down the digestive tract this anti-inflammatory effect works wonders for soothing all ill effects of acid reflux. One of the main causes for acid reflux is because the stomach does not empty quickly enough – ginger has been shown to speed up the process of by which the stomach empties and the general motility, this is an excellent benefit for helping the ill effects of acid reflux – here is the study that covers this. My final recommendations are both celery and cucumber. Celery and cucumber are alkaline which basically act as a natural way to help balance out the acidity of the stomach to a lower level. If you ever have a flair up from acid reflux, then both celery and cucumber are both top of my list for something that can sooth your throat all the way down to the stomach. It really has an amazing soothing feeling and is one of my go to’s for immediate relief. Previous articleCan a Lump In The Throat Feeling Come From Acid Reflux?